“Church of the Sacred Heart” in Semaphore was built in 1914 with the Cornerstone being laid on 1st November 1914. Conservation, reconstruction and beautification work of the Sacred Heart Church in Semaphore was carried out as per the Burra Charter using modern day paint finishes. Preparation work included the sweeping down of walls, repair of minor and major cracks, filling, sanding and plastering. Environmentally friendly Haymes Paints were used in the reconstruction process of the original banner signage and to repaint the interior of the Church. Decorative finishes were skilfully hand painted by artisans educated in the decorative arts. Beautification included a hand painted dado, broken colour effects, pin-striping, 22 karat gold leaf, stencils, marbling, wood graining, scumbling, venetian glaze, copper antiquing, timber repolishing and the artistic conservation and repair work of the “Stations of the Cross”. Working closely with the priest and parishioners, spiritual significance was integrated into every aspect of the work, including the colour schemes chosen. Safe Work Methods and Environmental Sustainability Practices were used throughout the job from start to finish. Recently Lancaster Painters Australia repainted Sacred Heart Church in Semaphore, South Australia. 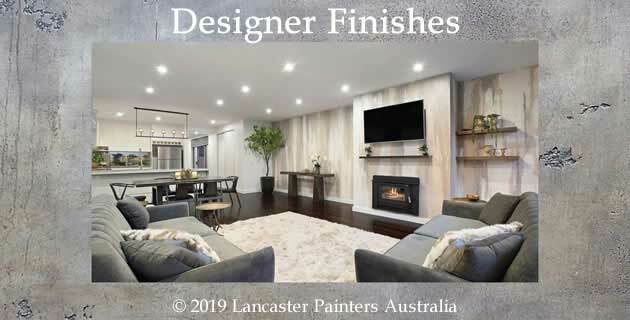 They were among a list of painters recommended to us by the Port Adelaide Enfield Council as suitable for the type of heritage restoration we were seeking in a painting firm. We eventually engaged Gary Lancaster and his team as we felt they had the best understanding of what we were seeking, and because we found Gary an easy person to work with. We valued his willingness to cooperate and consult. We were also advised that he had the expertise to restore some wording that was special to many of the congregation, but had been painted out in a previous painting. We were very pleased with our choice. Gary and his team did an excellent job, and were committed to doing their very best. Right from the start they cooperated well with us. We had a requirement that the church be available for worship on Sundays. Amid scaffold and shifted pews the church was always cleaned, and arranged in a way that made Sunday worship possible (and gave the congregation a sense of being part of the renewal process of the building – many spoke of enjoying the experience even though a bit inconvenienced).